Thanks Dusty. 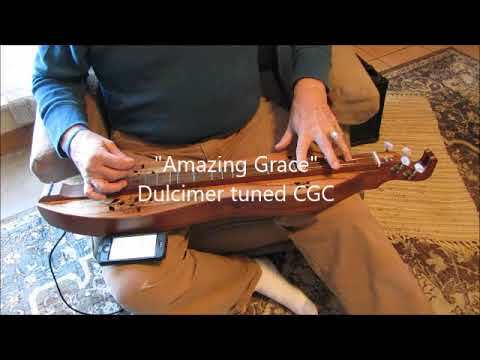 All good information to know, and reasons why the dulcimer is such a fun instrument to play. Jack, on my standard dulcimers I regularly tune anywhere from a low of CGc to a high of EBe. I prefer the lower tunings when I fingerpick, not because the sound is deeper but just because of the extra give and feel of the strings. But when I flatpick, I prefer tighter strings, which respond faster and allow for more accurate, fast playing. I also change tunings when I sing. Some tunes might be a bit too high for my voice in D, but tuning down to C or even just to C# makes a huge difference. But I don't really think the sound is necessarily "fuller" at C than at D. It is definitely deeper, but I think it only sounds fuller because we are so used to the D tuning. If you were to play in C for an extended period, it would seem normal, and then you'd be surprised how bright and crisp your dulcimers sound tuned to D.
One confession: on a couple of occasions I've been part of a dulcimer round robin on stage, when four or five players took turns playing tunes. I knew everyone else would be tuned to D, so I tuned to C. And everyone complimented me on the deep, lush tone of my dulcimer. I wanted to confess that it was only the tuning and had everyone tuned to C no one would have noticed my dulcimer's tone. But of course, I kept the secret and just smiled.